An early outdoor flowering incurved bloom variety with dark orange blooms. Excellent for borders and cutting. The sight of a mixed vase of blooms from the Astro series welcomed us to Holland, as it stood pride of place in our host's home. It really filled the eye with a shimmering spectrum of bronze and orange. 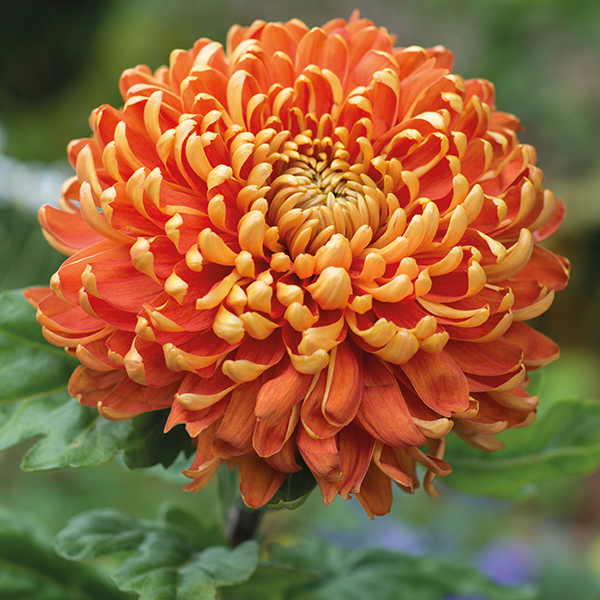 'Astro Bronze' is an established member of our popular 'Prelude Collection', and these lighter and darker strains will perform just as well in home gardens, to produce blooms for a co-ordinated display in both border and vase. 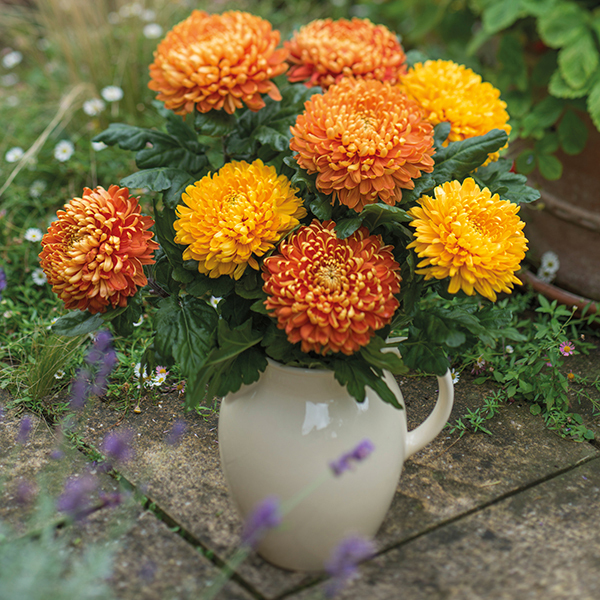 The intermediate type blooms will flower from September in the border or cutting garden, and last up to three weeks in the vase once cut.